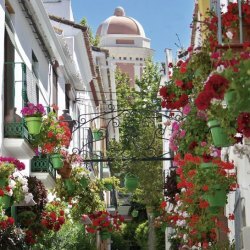 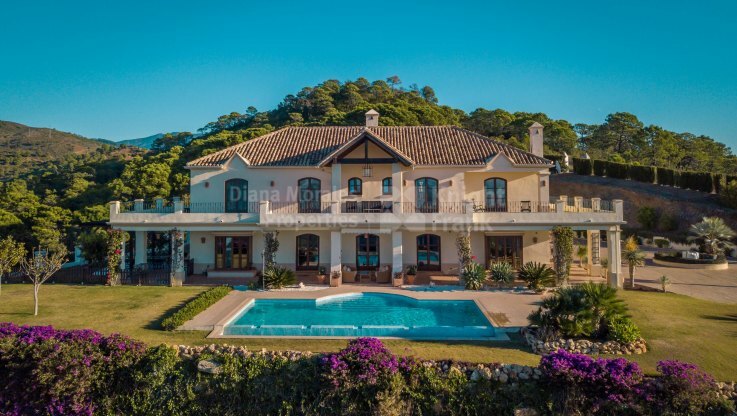 Please, send me more information about ref DMCO2073 in Casasola, Estepona or similar properties. 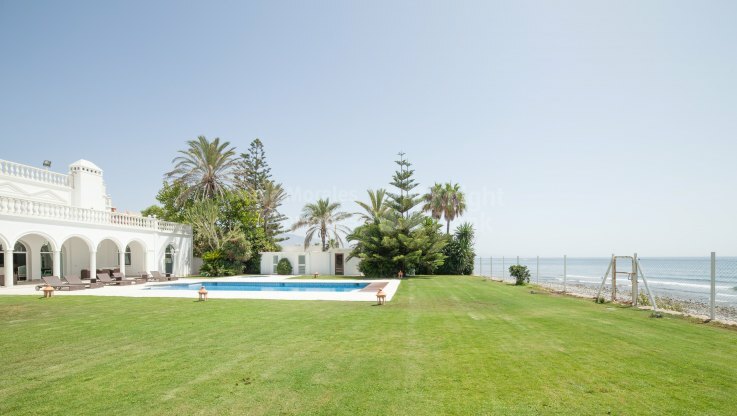 Watch the waves roll in across the sand from this super large holiday retreat just above the beach. 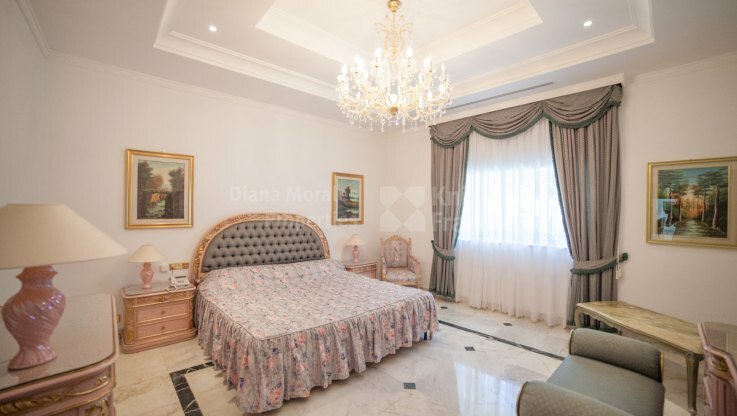 A superb south facing two storey property, featuring a summer dining area, built-in wardrobes, Portuguese marble flooring, bullet proof glass, a disco, and a heated swimming pool. 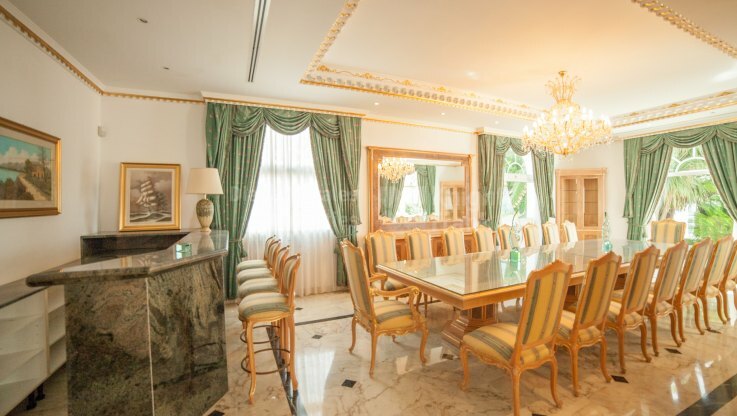 There is also a new air-conditioning system, a solar heated 2000L tank, hand made Italian furniture, gilded mouldings, spot lights in garden, a dark granite bar in the dining room, concealed lights, oak doors, a central gas deposit and 2 large Westinghouse fridges. 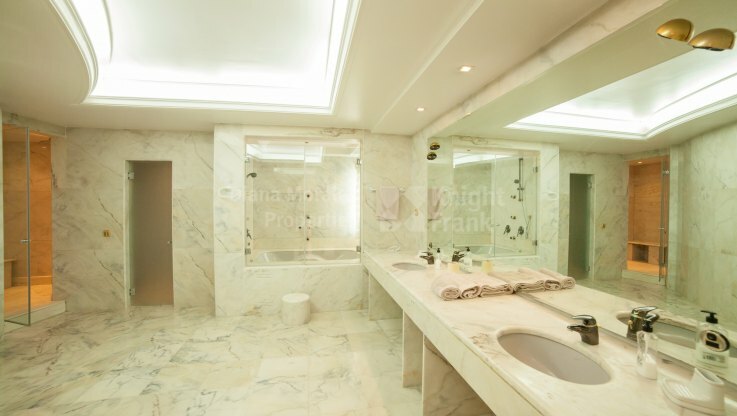 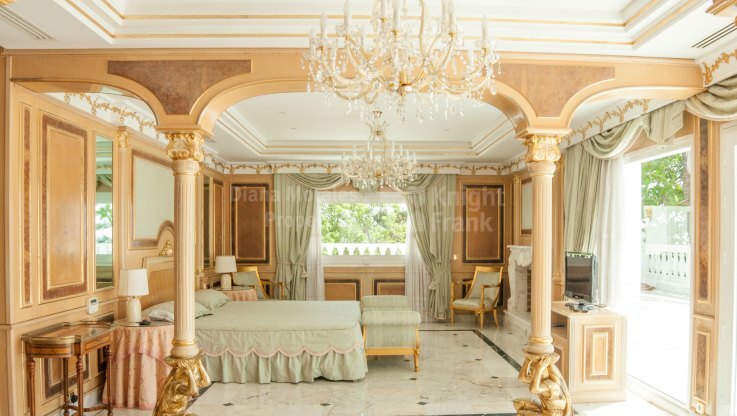 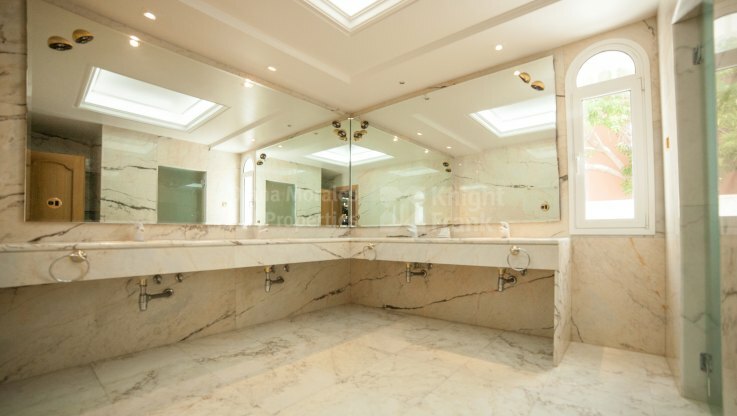 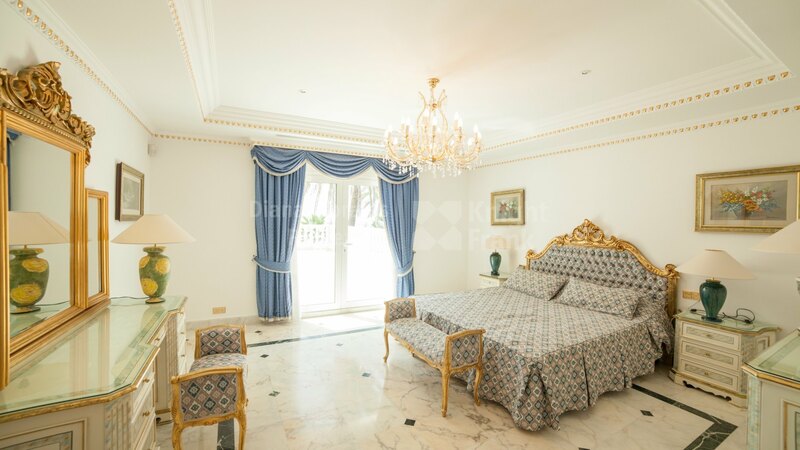 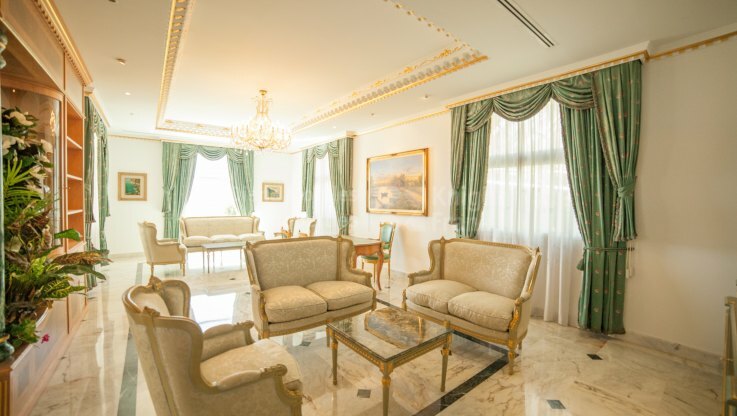 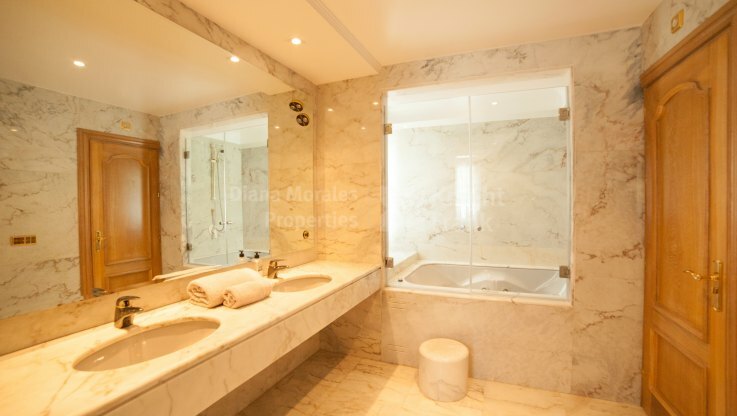 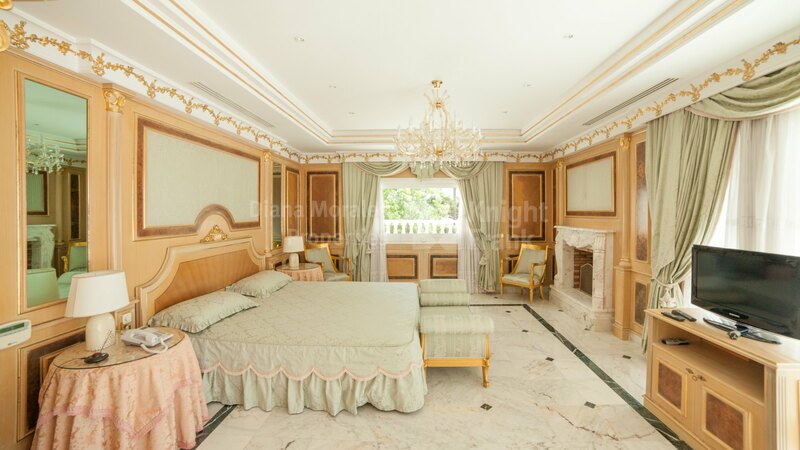 The bedrooms are carpeted with marble underneath, all main bathrooms have Jacuzzi bathtub. 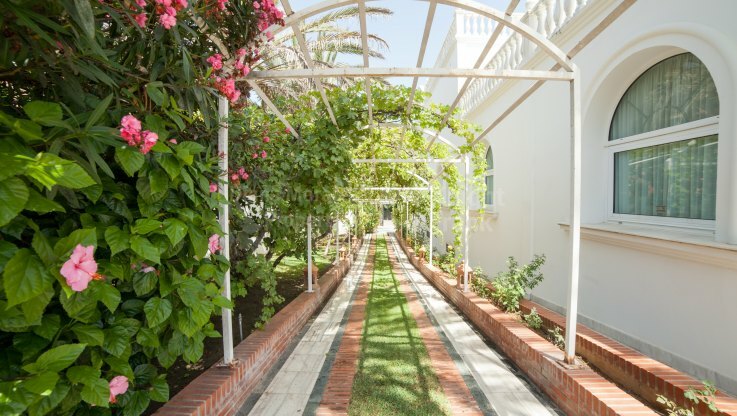 There is a roof terrace, remote controlled music system, a bodega, dimmers in all bedrooms, a pool house with a changing room, a 5-car garage and a well, used for the garden. 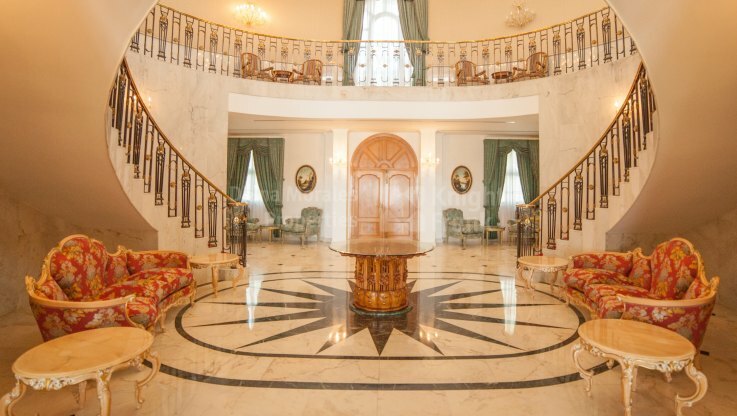 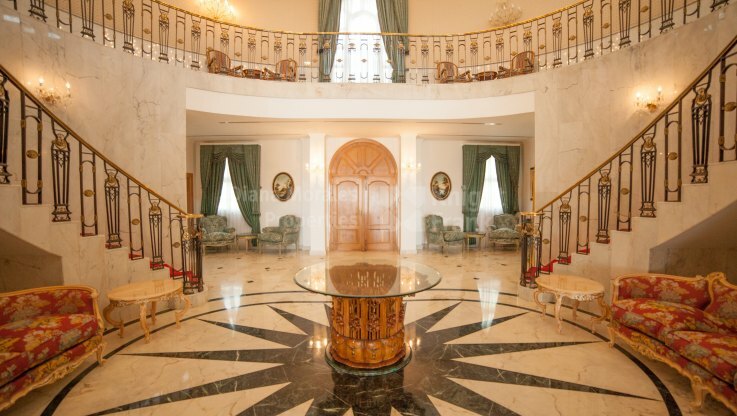 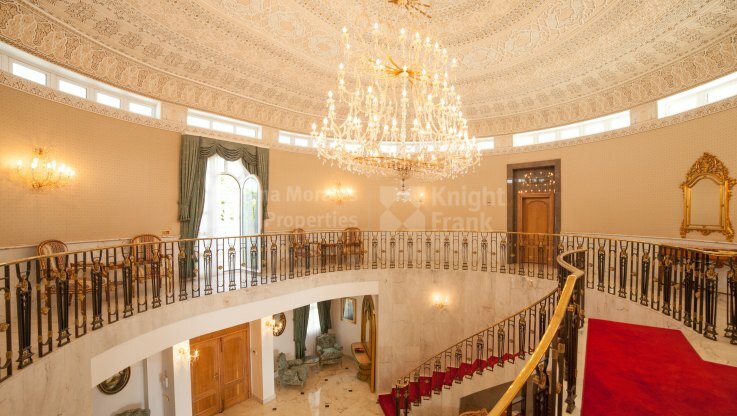 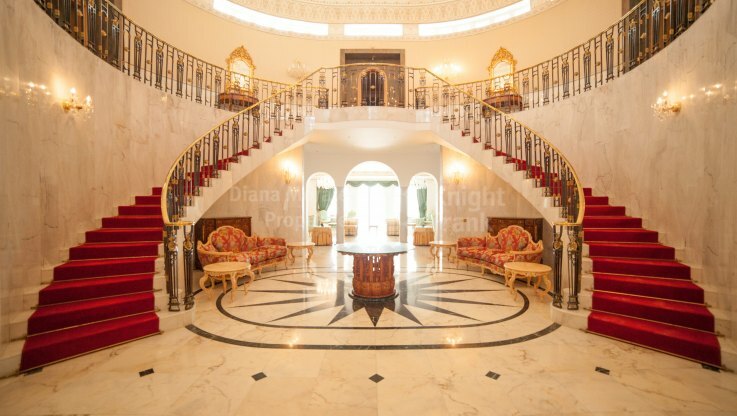 A double height entrance hall with a sumptuous chandelier welcomes visitors to this splendid villa. 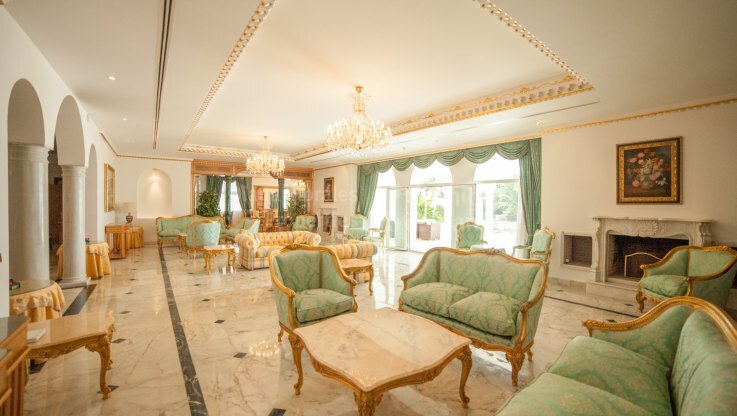 Two fireplaces highlight the main lounge which also includes a separate and large dining room with a bar. 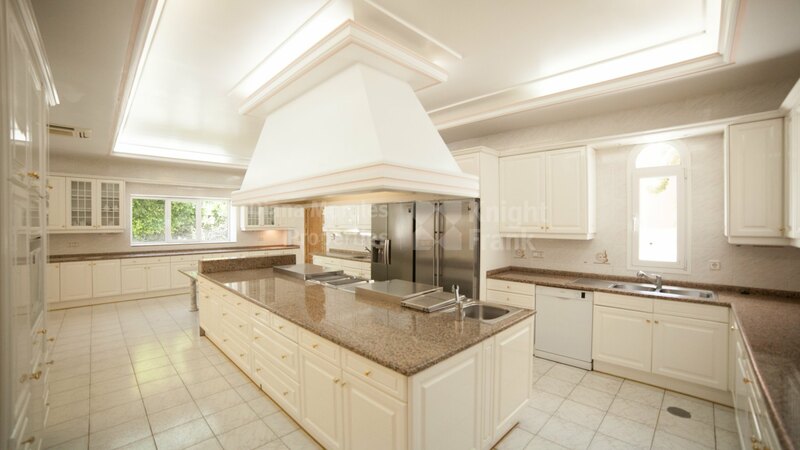 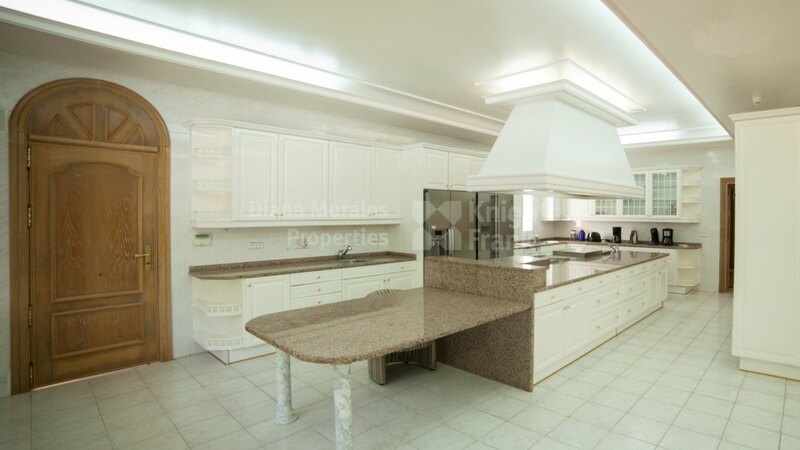 There are two bathrooms for the reception areas.The large kitchen with a central island, is fully fitted. 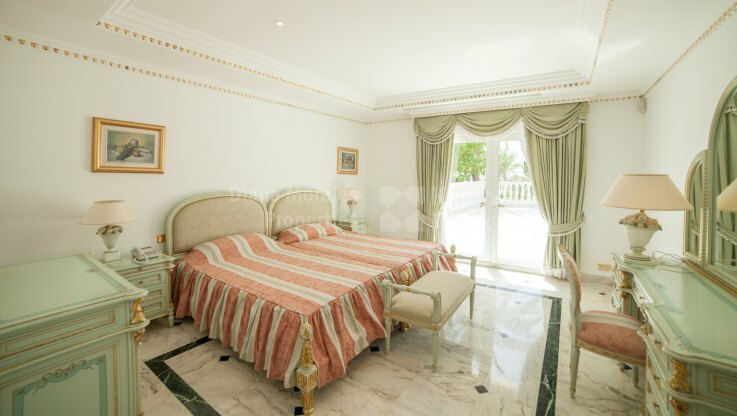 The master bedroom on the upper floor has 2 fireplaces and a large safe in the dressing room, a bathroom ensuite and a terrace overlooking the sea, shared by two further bedroom suites. The guest apartment has a separate entrance, a full kitchen, and two bedrooms suites each with Jacuzzi and a separate alarm system. THERE ARE 820 SQM OF COVERED AREA.